There are bunch of web services and softwares to manage your tasks and ToDos. But there still seem to be advantage on a paper-and-pen style for you can't be glued to laptops or PDAs 24/7. 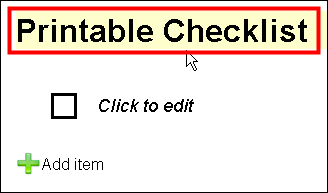 This "Printable Checklist" web service provides you the simple interface to generate printable checklist you can carry with your notepad. It's multilingual and, of course, cost-free. It's operation is so easy. Just click on where you want to edit. 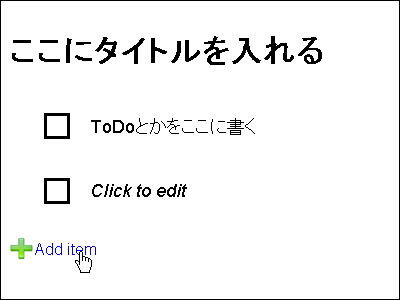 Overwrite it and click "OK"
Click "Add item" to add columns. 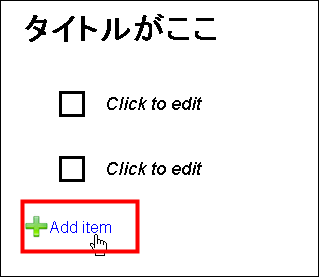 Click "X" to delete the item. Print and carry with your favorite Molleskin or Rhodia. Great service for the guys who don't want to be bothered with office suite software.